The hospital refused to disclose any details, but said that the high-ranking officer had been placed "in the 56th department." The Russian Defense Ministry said in a statement late last month that four Russian servicemen had been killed in Syria on February 16, when a radio controlled bomb targeting a Syrian military convoy exploded. Two other Russian servicemen were injured in the blast, the ministry added. Milyukhin suffered serious injuries, and in a matter of hours was evacuated to Khmeimim airbase, where military doctors fought for a week to save his life. Kommersant sources claim that doctors had essentially managed to stop the bleeding and stabilize Milyukhin’s condition in the field, and that the top priority was to enable further medical transportation to Moscow. There is currently “no direct threat” to Milyukhin’s life, the newspaper said, citing medical officials at Russia’s Main Military Clinical Hospital. Since September 2015, when the Syrian government invited Moscow to take part in the anti-terrorist campaign, Russia has lost 27 servicemen in Syria, Interfax reported, citing Russian Defense Ministry estimates. 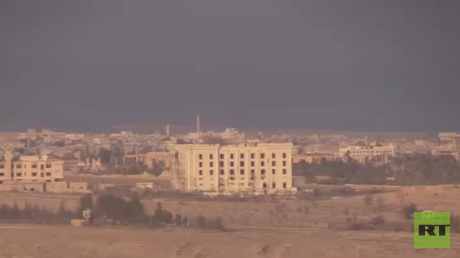 Last week the Syrian Army regained control over Palmyra. The Syrian Army’s offensive was planned and coordinated by Russian military advisers. Islamic State (IS, formerly ISIS/ISIL) suffered heavy casualties, losing over 1,000 militants killed or injured in action, along with 19 tanks, 37 armored fighting vehicles, 98 pickup trucks mounting heavy weaponry and 100 other combat vehicles, Sergey Rudskoy, chief of the General Staff’s operations department, said. The Russian Air Force and special forces played a major role in destroying IS positions outside Palmyra. 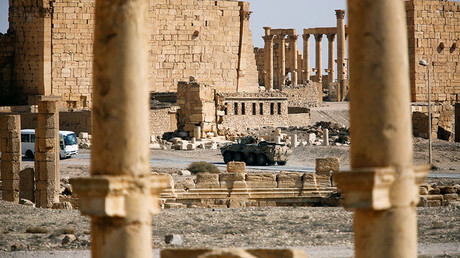 Palmyra, a UNESCO World Heritage Site, fell prey to IS terrorists in 2015. The Syrian government liberated the city from terrorists in March last year, but troops were driven out again several months later. 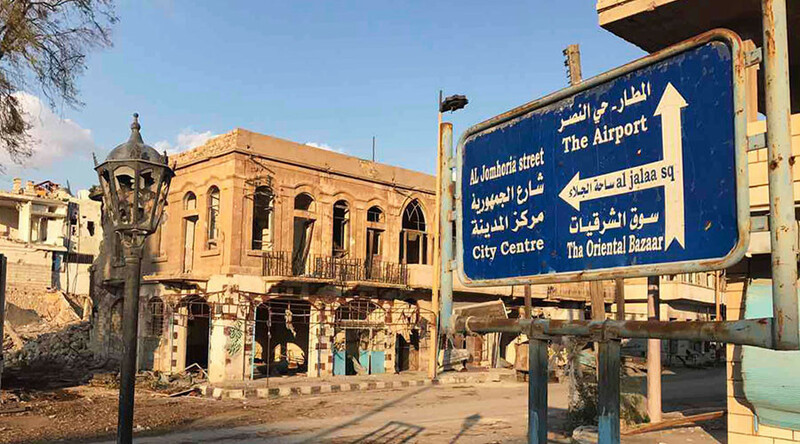 After seizing the city for the second time, IS militants destroyed part of the Roman theater and the legendary Tetrapylon in the ancient city, in what has been described as “a war crime” by UNESCO Director-General Irina Bokova.